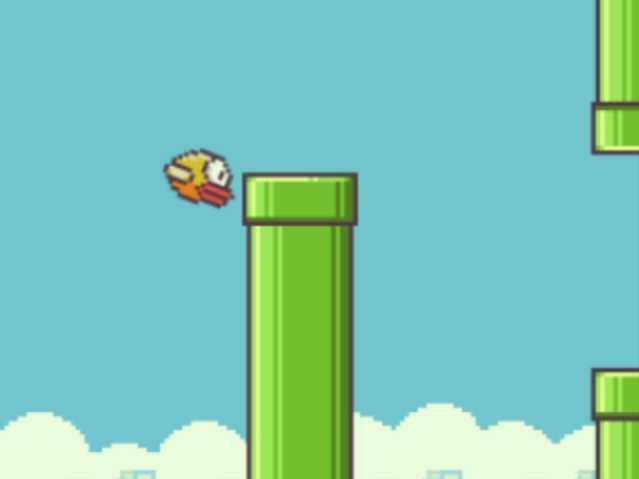 Why Was Flappy Bird Removed? You might imagine that, after days, weeks or years developing an app, a developer would want to see – almost like a child – that app succeed as much as possible. Imagine if you had an app that millions of people used daily? There's value there – you could sell the app, build on it, create new apps and eventually have a profitable company. Or just bask in the glory of it all, with bragging rights that your app is the most popular on multiple platforms. Rovio is an example of this kind of success: Angry Birds took off and now the company has an entire empire of games and revenue streams that generate cash even outside of its hit titles. There are Angry Birds plush toys, for example. But some developers don't want that kind of success. Case in point: Dong Nguyen and his title Flappy Bird that gained international attention recently, garnered top spots as the most popular free game on iOS and Android. The Internet was a'buzz with people discussing the seemingly impossible gameplay, where a high score of 100 was praiseworthy (Nguyen said his own score was around 200). Over the weekend, developer Dong Nguyen made good on his promise to remove Flappy Bird from the iTunes App Store and Google Play. But why? Nguyen, based in Hanoi, Vietnam, hasn't made himself available for many interviews and has generally shied away from the press, though we can look at some of his tweets to understand a bit more about his decision to kill off an app that was generating a reported $50,000 in ad revenue each day. As soon as Feb. 7, last Friday, Nguyen was answering praise and suggestions on Twitter. One user said he had input for Nguyen, to which the developer replied "It is just a mini game. Let it stay mini." He said he isn't an entrepreneur in another tweet, and said the game was built for the masses – for everyone to enjoy. As of Saturday morning, Nguyen even suggested that he was already working on a sequel. Later that afternoon, however, he started to say "people are overusing my app." Suddenly, his mood started to swing. "I can call 'Flappy Bird' is a success of mine," he wrote. "But it also ruins my simple life. So now I hate it." But why? He was accused by gaming site Kotaku of stealing sprites from Mario, though he denied those accusations and said there's an "art to doing that." He told another user on Twitter that he had no plans to hire a PR agency to take some of the work off of his hands, because he felt that doing so would mean he wasn't an indie developer anymore. Perhaps he feared being too mainstream. By mid-afternoon on Feb. 8, Nguyen officially announced that he would take down Flappy Bird from both iTunes and Google Play. The attention had gotten to him, even though he originally labeled the title a success. The game was indeed pulled, though Nguyen's last tweet says that he's still making games. He also said he won't sell Flappy Bird and requests that people don't ask him to do so. Nguyen also said he didn't pull the app because of anything "related to legal" issues, just that he "cannot keep it anymore." Despite denying legal issues, a Reuters report Monday suggests that Nguyen may have received letters from Nintendo, though the report says Nintendo "was not considering a lawsuit." Nguyen clearly wasn't after riches. He added a small update last week, and could have continued building on the title with new characters, perhaps in-app purchases to drive revenue, a premium version and more. A small team of developers (and probably some accountants and lawyers) could have been hired and Nguyen could have ultimately sat on a beach and let the cash flow in. He didn't want any of the attention that other developers would kill for. So what's the best answer we have right now as to why Nguyen pulled Flappy Bird? He wanted his simple life back. We respect his decision. In an age where it seems almost every mobile game out there tries to nickel and dime users into spending more money for continuing gameplay, it's refreshing to see an indie game developer – accused of stealing sprites or not – step back and decide that he prefers his current life to one that could have potentially been full of fortune. Ngyuen promises new games are on the horizon. They may never see the type of press that Flappy Bird. And if Nguyen has his way, they won't.